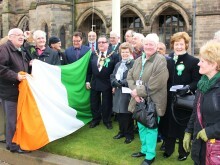 The Mayor of Rochdale was joined by councillors and members of the Irish community to raise the flag of Ireland on Saint Patrick’s Day. 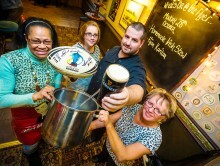 The Flying Horse Hotel is getting ready to welcome Rugby League World Cup 2013 in style, serving up a feast for the appetite on Monday 28 October. 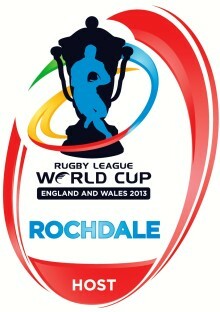 All serving members of the Armed Forces will be able to purchase tickets for this month’s Rugby League World Cup game at Spotland Stadium in Rochdale from just £5. This month’s Rugby League World Cup 2013 game will be a very proud day for Rochdale resident Voate Drui, one of the Fijians originally recruited to play for Rochdale Hornets. After playing for the town for a decade he’ll be back at Spotland Stadium for the game on 28 October, the latest chapter in a remarkable story that started over fifty years ago. 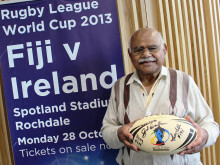 Fiji play Ireland at Spotland Stadium at 8pm on Monday 28 October, and Fiji will be Rochdale’s adopted nation for the duration of the tournament which kicks off 2 days after the opening ceremony at the Millennium Stadium in Cardiff.